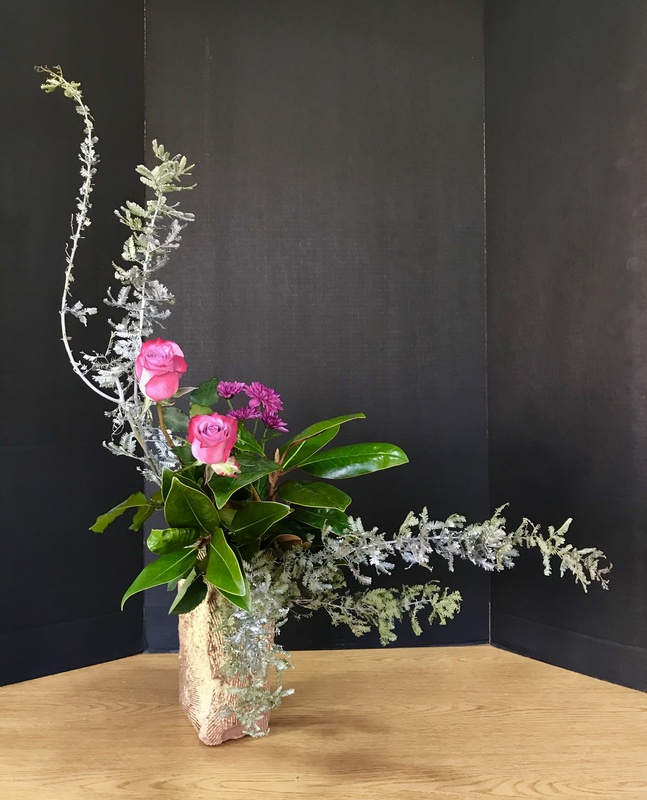 Learn Ikebana, the art of Japanese flower arrangement. Ikebana uses branches, flowers and leaves to create elegant arrangements emphasizing artistic lines, colors, and mass. Instructor Gloria Lee has been teaching and demonstrating Ikebana for years. All levels of experience are welcome. A pair of hand pruners or ikebana scissors for cutting flowers, leaves, and branches. Fresh materials of your choice such as branches or long leaves (at least three), flowers (at least three stems), and some leaves (such as ferns, Camellia branches with leaves, Hydrangea stems with leaves, or any other leaves).